I was lucky enough to come across a fresh venison tenderloin a couple of weeks ago. 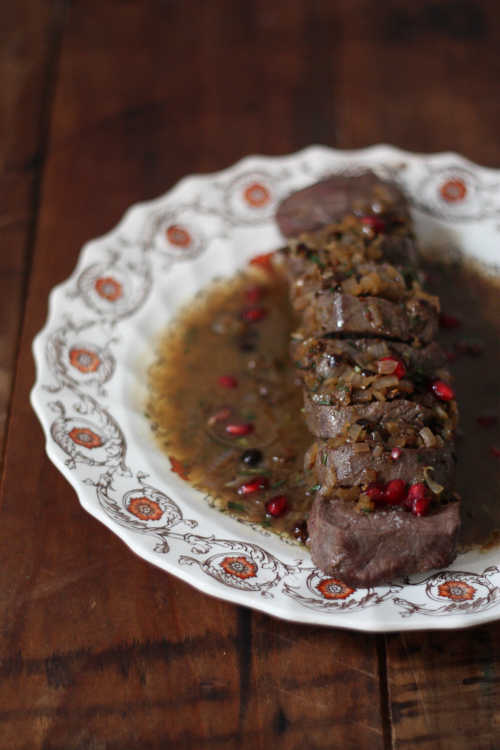 I had been dying to try Hank Shaw's version of Venison Medallions with Gin and Juniper ever since I saw his post almost a year ago to the day — so I knew exactly where to turn when it was time to get cooking. I could not have gotten a cleaner tenderloin than what you see above. Having everything else on hand (including the gin), the recipe took all of about 30 minutes to prepare and plate. The raw juniper berries and gin enhanced this lean cut of meat immensely. It was also quite an eye appealing dish on the table. 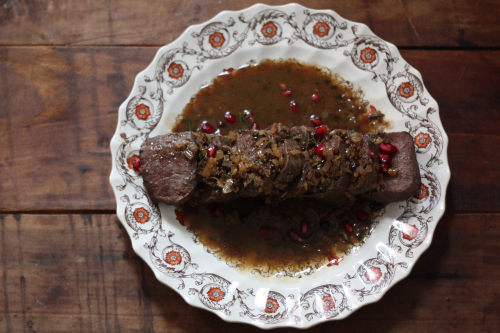 If you are looking for a recipe that would take any sort of gaminess out of venison this is one you should try! 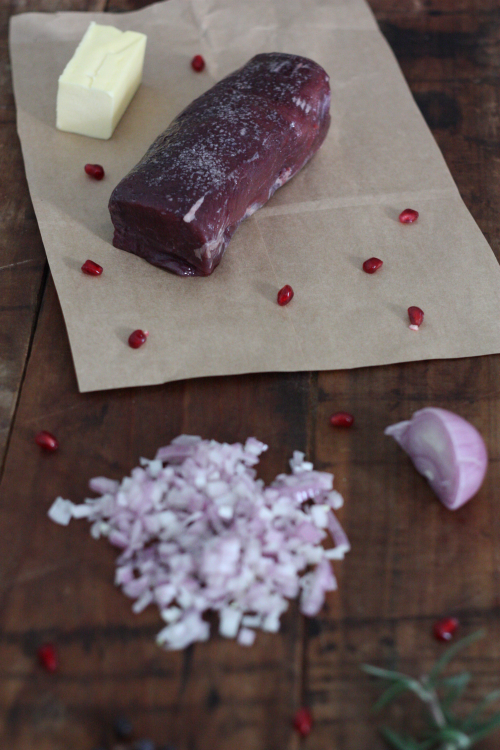 What is your favorite way to prepare venison or are we just not going there? Thank you Eileen! Spinach and Gruyere stuffed tenderloin sounds amazing! I love game, and venison is easily my favorite. My dad used to cut the tenderloin into large cubes, then wrapped them in bacon and grilled them. I love to use the tougher cuts in slow-cooked chili and wherever I might use lamb instead (although you need to add more fat to the recipe because venison is so lean). Love me some venison chili!